To learn to LOOK and really see we must change our perceptions, our Logic brain must be stilled (distracted it if necessary) in order to faithfully represent our subject. 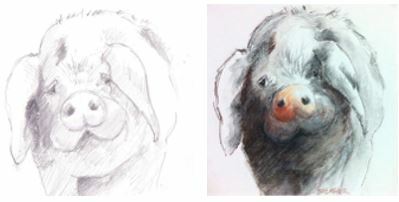 Anyone can learn how to Draw or to improve Drawing skills and this Workshop will show you how! When we learn to ‘see’ and draw what is really there, we remember and we learn and we experience more!